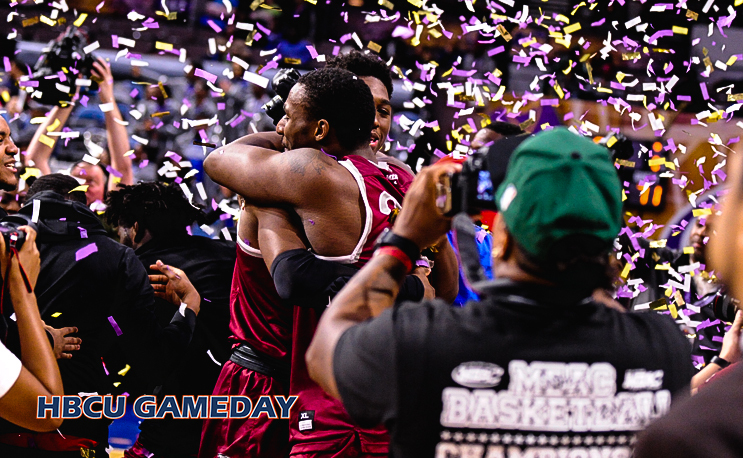 Texas Southern and North Carolina Central have received automatic NCAA DI Tournament berths after winning the MEAC and SWAC Championships. The good news? An HBCU is assured at least one NCAA Tournament win. The bad news? Only one will prevail. North Carolina Central and Texas Southern are slated to face one another in a First Four game on Wednesday, March 14 at 6:40 PM. The winner will advance to the first round of the tournament to play first seed Xavier in Nashville, TN on Friday, March 16 at 7:20 PM. NCCU and TXSU are both going dancing for the second consecutive year and will be the only HBCUs in the tournament. TXSU and NCCU both come into the tournament as the 16th seed. Texas Southern sits at 15-19 overall and second place in SWAC standings following its championship win. Guard Donte Clark leads TXSU in points and assists, averaging 18.6 points and 2.6 assists per game for the season. Texas Southern enters the tournament averaging 77.6 points per game, 75th in the NCAA. The Tigers have made seven tournament appearances, but have yet to break past the first round. Texas Southern enters the tournament on a seven-game win streak. North Carolina Central is alternatively 19-15 overall and in sixth place in MEAC standings following its championship win. Raasean Davis leads NCCU in points and field goal percentage, averaging 15 points per game and an FGP of 66.7 percent. North Carolina Central enters the tournament averaging 38 rebounds per game, 61st in the NCAA, and averaging 15.7 assists per game, tied for 49th in the NCAA. The Eagles have made two tournament appearances, losing in the first round each time. NCCU comes into the tournament on a five-game win streak.